Maybelline Hyper Sharp Liner Review, Swatches and EOTD: The new size zero eyeliner in the market! 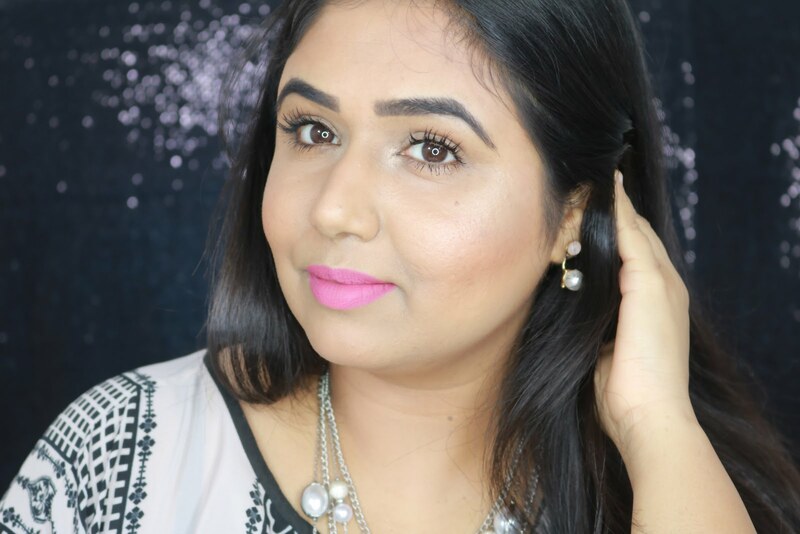 Today i'll be sharing my thoughts on one of my current favorite eye liners Maybelline Hyper Sharp Liner which retails for 375 INR. I am out and out a gel liner girl however I do like to use felt tip liners when I am in a hurry or when I run out of clean brushes for gel liners. I bought Maybelline Hyper Sharp Liner when I was in Kuala Lumpur this year in April and have been using it ever since. Maybelline is one of my favorite budget brand! In times when most of the companies are increasing their prices heavily Maybelline is one brand which often comes out with new products which are not only decently priced but are of great quality as well! Maybelline Hyper Sharp Liner comes in glossy black packaging with gold cap. The name of the liner is imprinted in gold on the body. Overall the packaging feels and looks very classy. The tip of the liner is extremely thin and pointed and made up of thin brushes stacked together rather than a single felt tip. Even though the tip is a brush applicator it does not stray or give uneven application. The tip gives very precise and defined application which makes it perfect for beginners or for drawing thin and precise liners. The pigmentation is not blackest black but with couple of swipes it does look quite dark black. The liner sets pretty fast withing 10-15 seconds and once it sets its absolutely smudge proof! It does not transfer or fade and stays on for the whole day on my eye lids. Its water resistant and does not smudge or flake off when in contact with water so it will not give you raccoon eyes. The finish it gives is a nice glossy one and its not completely matte. So if you love matte finishes this may not be suitable for you. One of the common problems with felt tip liners are that they dry up pretty soon however I am using this since April this year and its still going pretty strong, the intensity of the liner has reduced a bit but with couple of coats it does give jet black application. Overall I would say its a fantastic eye liner especially for beginners and I would highly recommend it to everyone! Though I love matte finishes more I absolutely adore this eye liner for the ease of application! Definitely would recommend it to everyone especially for beginners who are new to eye makeup, this is a must have in your kitty! Pen liners are really getting their due now :) this one also looks so cute na! perfect for the purse too! very very pretty EOTD!! the liner seems wearable for everyday! Loved the review...i too love pens more than the liquid or gels one! so easy peasy to use! totally agree with you..pen ones come in handy! I love gel eye liners but these pen eyeliners are also easy to use ,the EOTD is very nice. The last pic.. is just wooww!!! u did it so beautifully!! I love the way you have lined your eyes ! Beautifully reviewed dear :) Gorgeous eye make-up <3 and loved the way you lined your eyes :)Killer !